The vision of COGIC Urban Initiatives is to build healthy individuals, families and communities for a successful future. 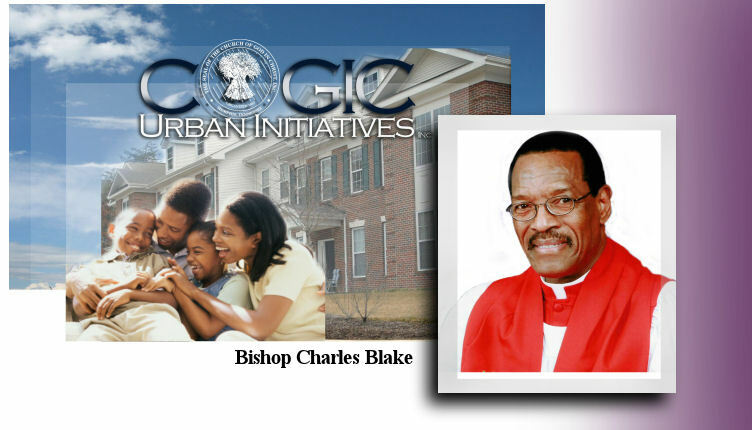 COGIC Urban Initiatives is the vision of Presiding Bishop Charles E. Blake birthed out of his deep concern about poor academic achievement, financial disenfranchisement, high unemployment, soaring crime levels, the desperate state of the black man and the breakdown of the family that plagues our cities, small and large, urban and rural. Attacking the problem from these interrelated perspectives simultaneously will maximize the likelihood of success. COGIC Urban Initiatives will provide all churches, regardless of size or location, with encouragement, inspiration, information, consultation and programs to achieve real and measurable change. The bishop's goal is to have one program for each initiative in place at each church. That's 60,000 programs. The Mission of COGIC Urban Initiatives is to empower the local church to implement programs that address Education, Economic Development, Crime, Family and Financial Literacy. Those programs will result in measurable improvement in the quality of life for individuals, families and communities served by the Church of God in Christ. We will do this by identifying and replicating best practices from our churches as well as external resources, and making them easily available to all churches utilizing technology and other resources.